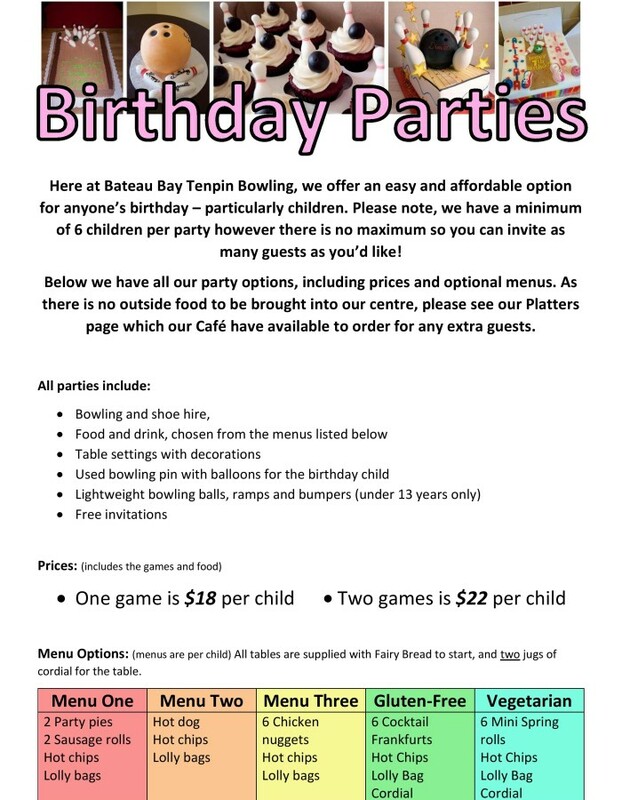 Here at Bateau Bay Tenpin Bowling, we offer an easy and affordable option for anyone’s birthday – particularly children. Please note, we have a minimum of 6 children per party however there is no maximum so you can invite as many guests as you’d like! Below we have all our party options, including prices and optional menus. As there is no outside food to be brought into our centre, please see our Platters page which our Café have available to order for any extra guests. Menu Options: (menus are per child) All tables are supplied with Fairy Bread to start, and two jugs of cordial for the table.